The Palace of Westminster, also known as the Houses of Parliament, is the meeting place for the House of Lords and the House of Commons. 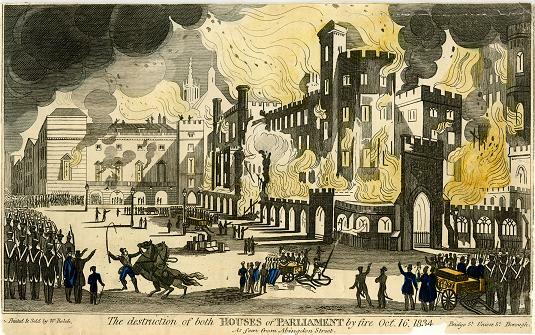 The old mediaeval style building was destroyed in a fire on 16th October 1834. The cause of that horrendous blaze was the burning of tally sticks, which the Exchequer used in his accounting procedures up until 1826. On this occasion the sticks were discarded in a negligent way and this led to a chimney fire, which ran under the floors and up the walls. However the London Fire Engine establishment, managed to save some parts of the old Houses of Parliament. In 1836, architect Charles Barry made plans to rebuild this beautiful building into a gothic style palace. Starting in 1840, the reconstruction went on for thirty years. In the United Kingdom, the Houses of Parliament is one of the main centers for political life. The Elizabeth Tower, also known as Big Ben is a major tourist attraction, a very iconic backdrop for almost every movie made in London. The famous clock tower is an emblem of parliamentary democracy. With an interest in politics, my family and I, on a recent visit, embarked on a wonderful audio journey and were transported back through time. The Great Hall held a very interesting synopsis on the abolition of the slave trade. On the 25th March 1807 a bill was passed to abolish the slave trade in the UK and also requested other European countries to do the same. Most supporters were hoping for slavery to be ceased completely, however it took another twenty six years for this to be done. The House of Commons is now the most politically significant chamber. In the 13th century, the King held a royal court and it wasn’t unusual for the likes of Barons and Earls to give their counsel. In 1254 two knights from each shire were summoned to the King’s court to give out grants when needed. However ten years later, the most powerful Baron in the country, Simon de Montefort, issued writs in the King’s name for the return of four knights from each shire to discuss the state of the country. Then in 1265 he issued writs for the return of two knights and burgesses from each borough. This was seen as the start of the House of Commons. In 1275 Edward I held his ‘first General Parliament,’ and summoned together leading churchmen, knights, burgesses, citizens and barons. Thirty Parliaments were held in his twenty five year reign. Not all citizens or local communities played a part nor were required to attend. When Edward II and Edward III were in power, they attended more often. The House of Commons had then been regarded as essential and we could see from the layout of the room that to this day it plays a huge part in British politics. The seats faced each other and miniature microphones hung down from the ceiling so that everyone could make themselves heard. The Houses of Parliament, now televised daily are well known but a visit to this wonderful establishment in person, gives it an added significance. In the fourteenth and fifteenth centuries, the Commons grew in importance. The pressure was on for Parliament to be summoned on an annual basis but the king only tended to summon it when he needed money. Tension grew between the king and parliament and at certain times the knights and burgesses met separately from the kings and nobles, and so began the division of the two chambers. As early as 1340, Parliament took an interest in how money was being collected and how it was being spent. Auditors were employed to monitor this. During the Tudor era, Parliament’s position became stronger, as monarchs needed them in their political and religious battles. Fine portraits from the Tudor era adorn the walls of the palace including King Henry VIII and his six wives. A seat in the House of Commons became a privilege, and the younger house had become the more significant chamber. reminding us of The English Civil War, essentially, it was between between Parliamentarians (Roundheads) and Royalists (Cavaliers) over, principally, the manner of the country’s governance. The outcome resulted in execution of Charles I and the replacement of English monarchy with what was called the Commonwealth of England under the personal rule of Oliver Cromwell. Although, after Cromwell’s death, the monarchy was restored, constitutionally, it was now established that the monarch cannot govern without Parliament’s consent. The House of Lords can claim to have originated from the mediaeval era, when the king summoned the Anglo Saxon Whitenagemot and its successor and the Norman cura of the 12th and 13th centuries to the courts to proffer its advice on the levying of taxes. A cura was made up of the leading barons and churchmen of the kingdom. Upon the barons death his son would be acquired to attend. In the 14th century when the knights and burgesses met separately to the barons and churchmen, a separation of the two houses occurred, i.e. the House of Commons and the House of Lords. The two houses were equal; however the House of Commons was responsible for initiating taxation. 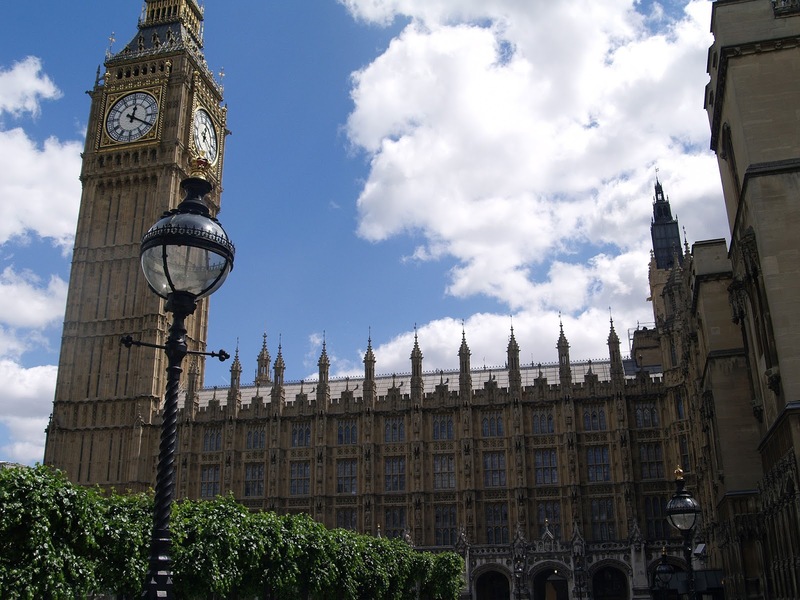 The Commons extended its privilege denying the rights of the Lords to amend money bills. In other matters the House of Lords and the House of Commons were equal.